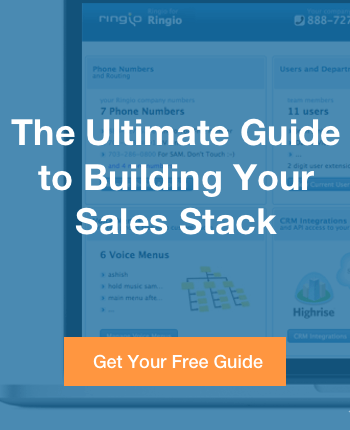 Inside sales teams spend a lot of time on the phone with prospects. You can positively impact their sales conversion metrics by making sure the people they talk to can hear them clearly. At Ring.io, we help a lot of inside sales teams with their telephony, so we have seen a lot of different scenarios. In general, startup sales reps are packed pretty tight and operate in open office environments. Sometimes those open offices have reflective surfaces. My first piece of advice for creating the right auditory environment for your sales reps is to try to dampen noise with carpet, partitions or wall coverings — this will do a lot to improve the quality of phone conversations. 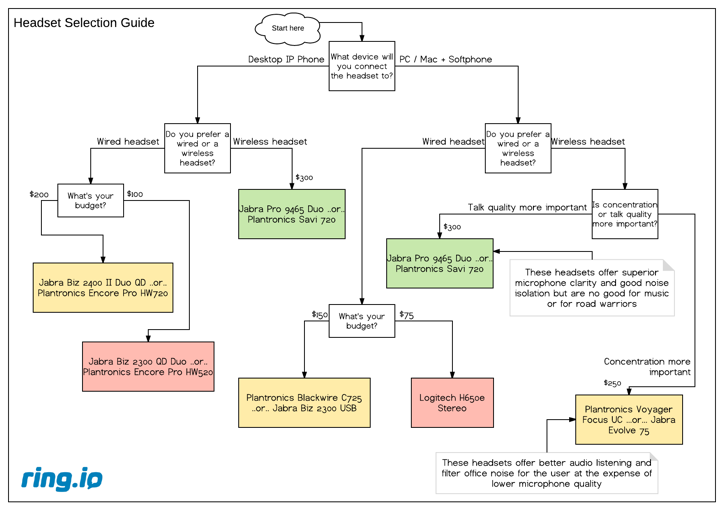 My second piece of advice is to get pro-quality headsets with noise-cancelling microphones. Your rep’s voice will come through clearly and your prospects won’t bombarded with background noise. Two ears – (binaural) is better than 1 ear. Over the ear with a closed ear cup will keep the noise from the room from coming into the rep’s ear. Noise cancelling unidirectional microphones worn close to your mouth (with a windscreen) are the key to the other party hearing you clearly. Gaming headsets do not generally have noise cancelling microphones. They tend to be omnidirectional and pick every noise in the room. That’s why I don’t think they’re great. Active noise cancellation is for the benefit of your rep, not the other party. Active noise cancellation blocks the office noise from getting into their ears. Do you prefer a wired or wireless headset? In general, wired headsets are more reliable, cheaper, and never run out of battery, but they tether the rep to the computer or phone. Wireless headsets allow reps to move around, go to meeting rooms, or huddle spaces, but they are more expensive. Is concentration or talk quality more important? Headset manufacturers traditionally focused on call centers when designing their best models, but recently have built headsets for office workers. The former have great microphones and good speakers optimized for talking on the phone. The latter offer active noise cancelling and speakers optimized for music, but their microphones are not as good at capturing and noise cancelling audio. What budget can you get away with? State of the art wireless headsets cost around $300, while entry level (but pro quality) wired USB headsets can be had for as little as $75. Highly reviewed by sales reps and by tech publications, this Plantronics headset is a fantastic solution for laptop users and people on the go. Loaded to the hilt with tech, this Bluetooth headset connects both to a computer softphone and to a cell phone, plays high fidelity music as well as has active noise cancelling for the listener, and uses a microphone array to cancel noise going into the other end. Want ultimate voice quality but don’t have $250 to spend on a wireless headset? The Jabra Biz 2400 II USB Duo is for you. This Rolls-Royce of call center headsets is plush and comfortable, powerful to manage, and has all the noise cancelling tech invented by Israeli engineers your reps can handle. The tradeoff? It’s corded. Hey, I get it. Your IT budget is busted and you need something good at bargain-basement prices. If that’s you, this is your headset. Logitech has been quietly rebuilding its brand and now sports a professional line. This headset is excellent value for money, and while it doesn’t have the wizbang tech of a Jabra or Plantronics, or the pedigree, it is a solid solution for any sales rep that wants to sound great.